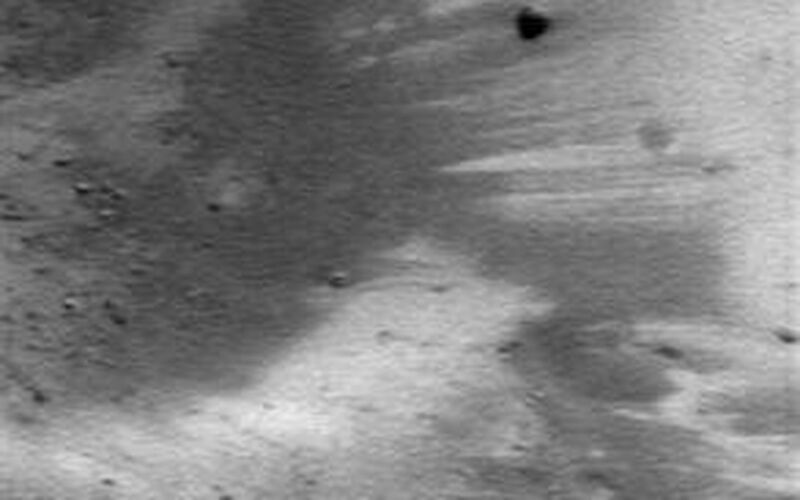 NEAR Shoemaker took this picture of the interior wall of a large crater on January 9, 2001, from an orbital altitude of 35 kilometers (22 miles). 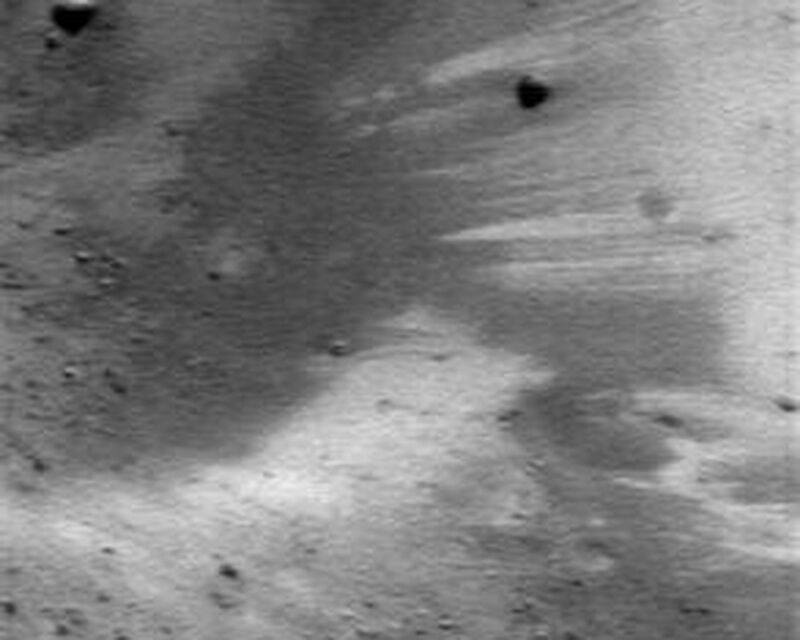 Like many steep slopes on Eros, this area is mottled with downward-oriented brightness streaks. 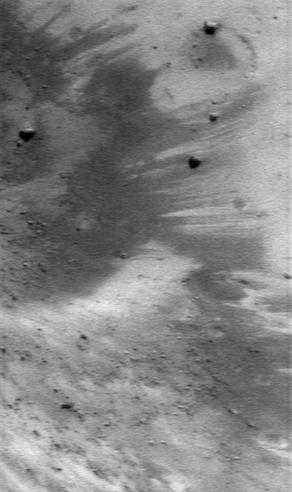 The streaks are thought to be exposed subsurface material that hasn't been altered by the solar wind and micrometeorite impacts. 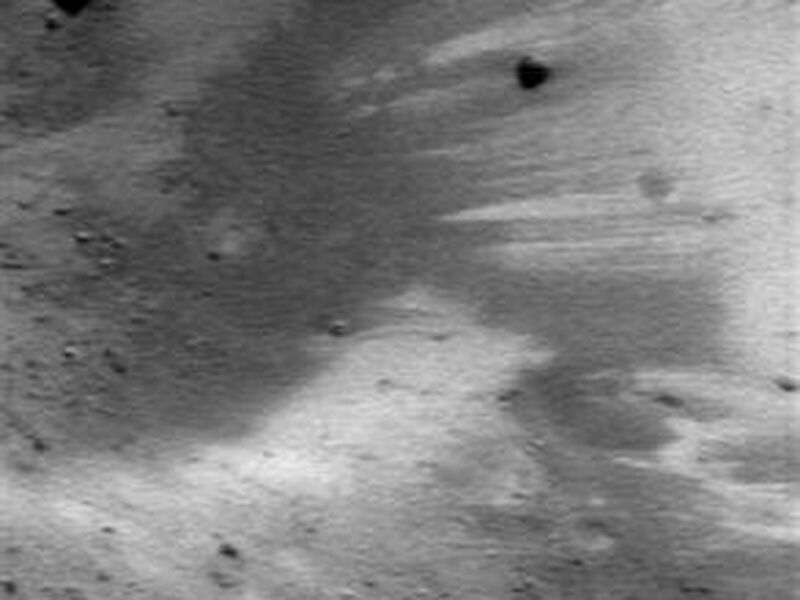 The whole scene is about 0.8 kilometers (0.5 miles) across.